Last week I was going through a block in my life. I kept repeating one of my age-old mantras: “I have too much going on. I’m so busy. How can I get it all done?” This mantra was really keeping me down — blocking my flow and messing with my spiritual mojo. Later that day I went out to run an errand. As I was driving down the country roads I was listening to a spiritual audiobook. I was guided to think about how it’s our birthright to feel really good, but we just get out of alignment with that truth. As I let this sink in, I had a major aha moment! I thought, “Why do I forget that I can be spiritually connected all the time?” I reminded myself that my ego is still louder than my inner guide at times — but the moment I return to my spiritual practices I remember that it’s natural to feel good. That good things flow to me when I’m aligned with the Universe. And that I don’t have to do anything to get what I want. I just have to feel connected and aligned, and in that spiritual alignment anything is possible. You may be thinking, “Gabby, that sounds nice and all, but what about my debt? My relationship issues? My health struggles? How am I supposed to feel good when I’m dealing with this stuff?” The answer is to amp up your spiritual practice! As the Kundalini master Yogi Bhajan said, “There’s a way through every block.” The way is through your spiritual practice. And here’s the promise: When you’re consistent with your spiritual practice, life becomes truly joyful. You feel like you’re standing in your truth, because the truth of who you are is an empowered, happy person. Your spiritual connection clears away the blocks to what you desire. And it helps you intuitively know how to handle difficult situations or relationships. To put it simply, when you’re spiritually aligned you’re hooked up! I write the books and teach the lessons, but I have to remind myself of this truth every single day. I have to stay committed and consistent with my spiritual practices in order feel the constant flow of well-being and alignment with the Universe. But the spiritual work doesn’t have to be hard. With a little willingness and the right guidance, it can fun and easy to stay consistent on your spiritual path. As a spiritual a teacher I’ve made it my mission to help my readers and audience members get psyched about their spiritual practice. It doesn’t have to be a chore, and that inspired feeling doesn’t have to be just a fleeting moment on a yoga mat. You can live a spiritual life. And I’ve made it my mission to make it super easy for you to feel spiritually connected every day. In this post I want to share with you my best practices for staying spiritually aligned and in the flow of well-being. These methods are simple and fun to apply. And they don’t require a lot of time at all. It’s said that the perfect is the enemy of the good. That concept applies to your spiritual practice, too! When in doubt, keep things simple and commit to strengthening your spiritual connection. There is no such thing as perfect, and when we strive for perfection we end up feeling overwhelmed. Therefore, don’t overcomplicate your spiritual practice. You might think you need to do every practice, ritual and technique out there. But spirituality doesn’t have to be hard! What matters is that your practice resonates with you, feels good to you and helps you feel connected! I often hear my readers say things like, “I wish I could have you whispering in my ear all the time!” If you vibe with my guidance and want more of it, I created something really cool for you. It’s called the Miracle Membership, and you can learn all about it here. The most important thing you can do spiritually is to stay in constant contact with your inner guide. You might also refer to this as spirit, the Universe, God, a higher power, etc. It doesn’t matter what you call it. What matters is that you connect. Two simple and powerful ways to stay connected with your inner guide are through prayer/affirmations and meditation. When we affirm how we want to feel, then we align our thoughts with our inner guidance system. Our inner guide is always waiting for us to align, and a prayer or a simple affirmation is how we reconnect. Here’s an affirmation you can use right now to realign with your inner guide: “I choose to see through the lens of love and I know the Universe is guiding me.” Say that throughout the day and return to the comments below to let me know how it goes! I guarantee you’ll see a shift. The other half of this equation is meditation. I often hear resistance to meditation because people perceive it to be difficult. But meditation doesn’t have to be a chore! It can be as simple as pressing play on a guided practice and letting someone lead you. I love guided meditations so much because I can let go and allow. I can surrender my thoughts, erase my day and let the meditation lead me. I’m so into guided meditations that each month I create a brand-new one for my Miracle Membership. Members always tell me how helpful it is to have a guided meditation they can listen to! I went on to explain how it’s important to hear the same message over and over in different ways. 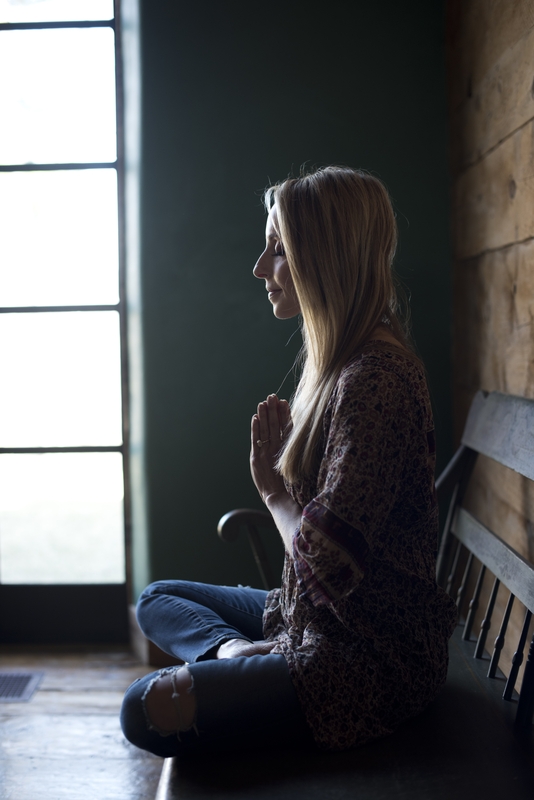 When we are on a spiritual path we can apply the same principles via new techniques and styles — but the goal is always to align our thoughts with love. The more we read spiritual texts or follow meditations, the lessons will sink in in different ways. We also meet new ideas at different times in our lives, when we’re ready to hear them. You’re never done learning. And the more we choose to lean towards love, the more we are led. I told Cybele that this is why I’m so passionate about helping people stay consistent on their spiritual path. I want you to make spirituality a habit and celebrate the repetition of your connection! As you repeat your spiritual practices, they become habit and then second nature. I created the Miracle Membership to help you feel that spiritual connection daily and stay committed to your path. The Miracle Membership is a monthly community that serves up spirituality in a fun and easy way. Not only do you get new meditations each month, but you also get get new lessons and techniques in a members-only podcast, access to my Gabby’s Greatest Hits live talks and much more. 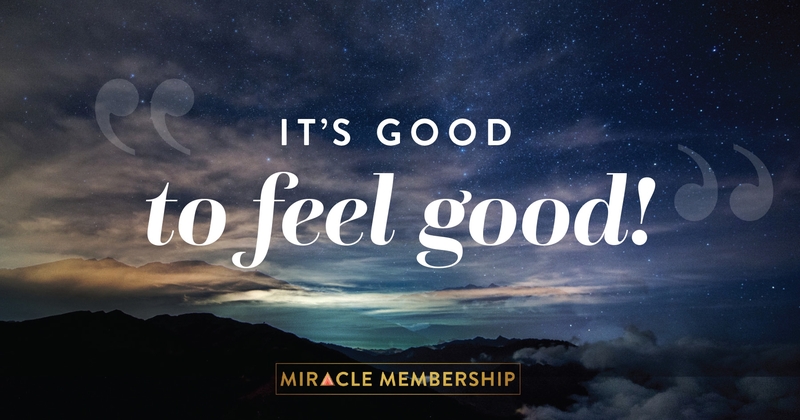 There are so many great benefits and bonuses to being a Miracle Member, but the most important one is that it makes it easy for you to stay spiritually connected every day. The payoff of staying spiritually connected is that you FEEL GOOD! You no longer have to live from one peak to the next, with valleys and plateaus in between. Instead, you can feel that high-vibe energy move through you all the time, even when things are tough. In fact, it’s the tough times that offer us an opening to deepen our spiritual connection even more. We tend to wait for the circumstances of our lives to give us a reason to feel good. Do you ever think things like, “I’ll feel good when I look a certain way, ” or, “I’ll feel good when I have the money in the bank”? When we do this, we’re putting the outcome before the feeling. The truth is that once you feel good, you start to easily attract what you desire! When we make feeling good our priority by staying spiritually connected, then everything else can flow. Remember, there is a way through every block and that way is your spiritual practice. With the Miracle Membership and your daily practice, you’ll stop fearing life. You’ll clear away blocks and start to truly enjoy the miracle that you are. I’m so grateful for all these wonderful gifts You’re giving me…it’s a very particular moment of my life and your “tools” are very useful. Big hugs to you Marzia! I think it’s great that you are able and willing to show your vulnerability, teaching us the most important thing: you don’t need to be perfect to live a spiritual life,you just need to keep coming back. To your practice,to the prayers,to listening to your inner voice. If you can write that sometimes your ego speaks louder anyway and you need to remind yourself to go back to being aligned, I feel no longer flawed in my practice,in my life,in my spirituality. And I think this is the greatest lesson. 1) I wanted to enrol for German course but found out I was too late for registration. Well, at 10am plus, I received an email from the course station that they are opening a new class! Yay, but hold on, I had to make payment personally before I can secure a place. Well, I am short of money right now as salary has not been paid yet. A thought came to mind while I was speaking to the accounts lady. I asked her to put me through to one of the professors whom I had previously taken classes before. He happened to be there, really happy to hear from me and I made a daring request for him to pay on my behalf first. He willingly said yes and he already did pay for me! Blessed! So appreciative! 2) Further, payment for my Masters course (I am distracting myself with studies!) needs to be paid on the 20th and again, I can’t make my payment as yet. I went to the accounts guy and he said it’s not done but he will try his best to help advance some money to me first. Well, he just came in to tell me that all’s well from his end, just waiting for the relevant signatures and should be ready for me tomorrow! How beautiful! I have enough money to pay for my Masters first instalment plus the German course before salary gets in by end of this month! 4) I certainly hope to manifest this loving relationship with my friend because I know deep within me he is my partner for life. Hi, Gabby 🙂 Thank you for your work and for shining your light into the world. I wish you all the best. Many blessings! Thank you for this reminder! While I do try to pray and mediate every day, I often find that I become more connected with my spiritual side when I am going through a difficult. However, I have learned that a lot of the challenges in my life improve when I am more aligned spiritually. So awesome to remind/introduce others to this! I am new to this spiritual journey and meditation. I was unsure how my body and mind would respond as yoga is difficult. Freeing my mind while moving is tough. I found that just sitting and letting my mind go is a lot easier for me. Your beginners meditation has been a such a huge help for me. I found you through my kindle recommendations from books I was looking at. It recommended The Universe Has Your Back. I tried a sample and a few pages in I backed out and bought the book. I have been searching for something to click and feel right in finding my inner guidance and peace. Anxiety has been a huge battle for me from past situations. Your reference to accepting and doing the assignment the universe gives you is what helps and knowing the universe has your back really hit home with the situation I am dealing with now. It really clicked I need to deal with this now. I was a skeptic on meditation and spiritual guidance. Your book and words have shown me otherwise. It came into my life at the right time and I just wanted to say thank you. I have am on chapter 4 of your book now and up to a 10 minute meditation time. I feel so much lighter and happier. It’s such a freeing feeling. I asked for some advice on burnout the other day on the MM page and this is super helpful too!! Thank you for being such an amazing teacher! I’M SO GLAD that the miracle membership is serving you!!! Thanks, I really enjoyed the anxiety webinar yesterday. Loving the tips you provided. Woke up this morning not feeling as happy as I should, went through the list you gave us, tapped on my issue and I got back into a happier state and have maintained it while dealing with a hectic Monday at work. Thank you for all you share with us and helping us become the powerful peeps the Universe wants us to be. omg i’m so glad that the workshop served you!!! I have been feeling spiritually disconnected for the past week….and then I get your email about this! :) The Universe really does have my back. 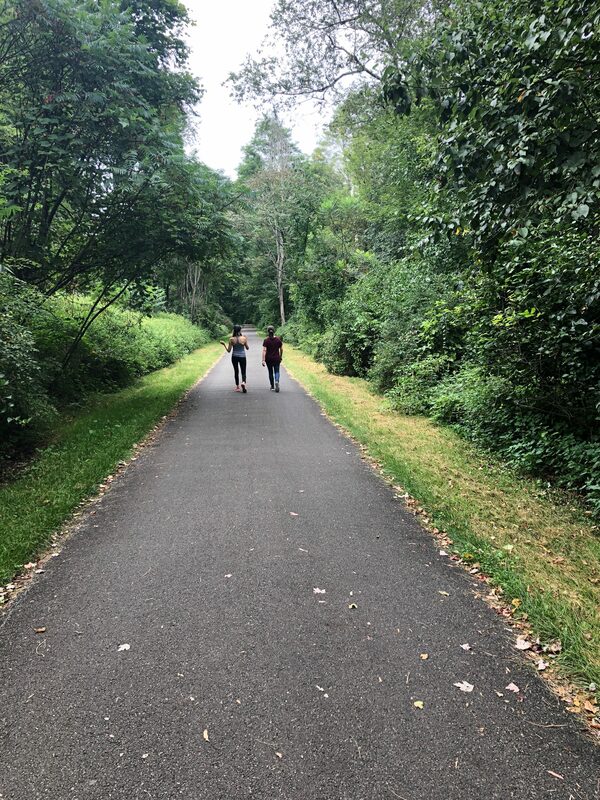 Thank you for being genuine and authentic in your blog post:) Even spiritual teachers need to remind themselves and their inner guide to stay connected. Much love to you Gabby! Thank you gabby! I am so grateful for you, your reminded and words have had such a powerful impact in my life. You’re always there when I need you! This was a great blog, exactly what I needed to hear…as usual! I honestly have to say that the Miracle Membership is my saving grace!! :) I get excited to always get my self-love time and watch the videos and beautiful tools Gabby has to offer in this membership.. If I ever need a solution, I just open up one of her books, or go to the membership, and can even choose a topic that I want guidance in.. I am forever grateful to you Gabby!!! I just finished reading “The universe has your back”, it came to me at a time when I really needed it. Thank you for what you said at the end about spreading love and peace. As I begin to establish myself as an anti-bullying advocate, I face many blocks like trying to get my book “out there” and many fears – will this help anyone at all? It is just my story of how I overcame the emotional scars left on me from being bullied. But you taught me to lean towards love and while journaling, this thought hit me “Pour love into it not fear.” Thank you for such a phenomenal book! First time, I am making comment in your blog, inspite of following your lessons closely for a quite long time. I could say- It’s so touching and feels true to my intuition or universe. Also, I feel alignment right way when I read it in a focused manner. Empowered! Amazing Mehtab! Grateful that you’re here! Thank you for this and thank you for the reminder… Currently I have been struggling with things in particular association of my job and my family has been having some difficulty with my grandfather not being well health wise. Needless to say it’s been a lot and quite overwhelming that the spiritual practice is the best thing but I often times need reminders, just like this one. My question is, if we continue to use our spiritual practice and meditations and feel that is is “not always working,” do we add more time to our practice or do we just focus on the small victories in order to ultimately help us get out of the vortex? It sometimes has taken me a while to truly get back and I beat myself up over it. Having read, listened to your wisdom in fifty or so emails and videos – every single one of them offered value to me in my path. Thank you for your focused, loving leadership. Wonderful Alan! Grateful that you’re connecting with these tools! Choosing to see through the lens of love in a time of guilt, shame, or regret: this is so, amazing. Thank you for reigniting the loving Goddess within me, Gabby! Gabby yout tools has helped me overcome my PTSD (post traumatic stress disorder) and fear of my ex attacking me again I feel free to accept my authentic truth of who I am and started using your Journals. The climbing meditation on YouTube has helped me in a big way I no longer look back at my tragic past. Thank you for this brave share. Grateful that these tools are offering you support on your healing journey. I have a friend that has been looking for a way to feel connected spiritually to her surroundings as well as herself. Thank you for explaining that keeping things simple and committing to progress is the best way to really have a strong spiritual progression. I will also recommend to her that she goes to a church or find a professional to help her find spiritual guidance. You are a loving friend. I hope this serves her. Thank you Gabby, you have a way of lighting up my heart and soul every time i read or listen to u. I always feel better wen listening to a audiobook, or read a passage you have written.